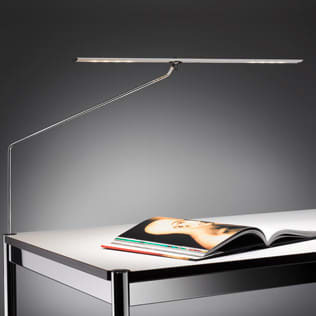 The adjustable-height clamp lamp, which can be directed at will, emits the light of a 100W halogen lamp. It provides optimum lighting for long desks. On the reflector there is a dimmer switch. The integrated ball joint and a magnet allow rotation of the light without limit. Do you have a question about "LET K"? How can we contact you?